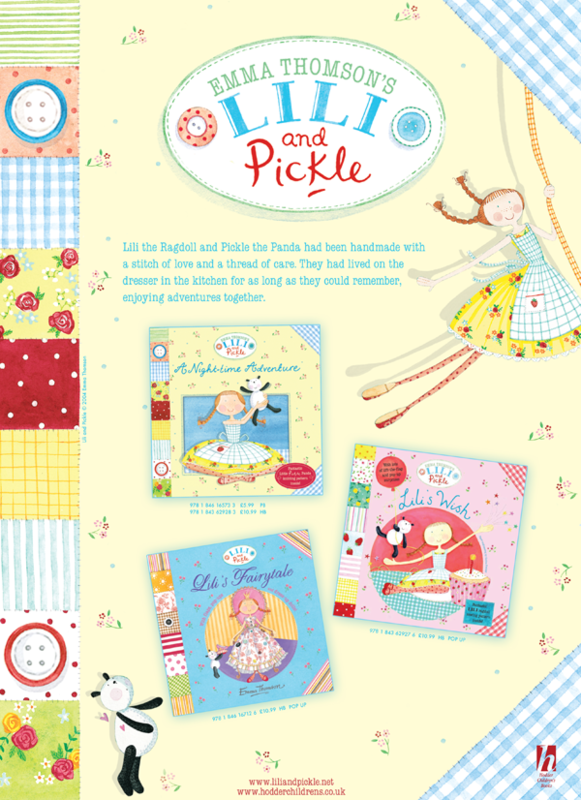 Created in 2003, Lili and Pickle feature in three books about their adventures on a large mint-green dresser in an old fashioned kitchen. Both the characters love to make, bake, mend & sew. 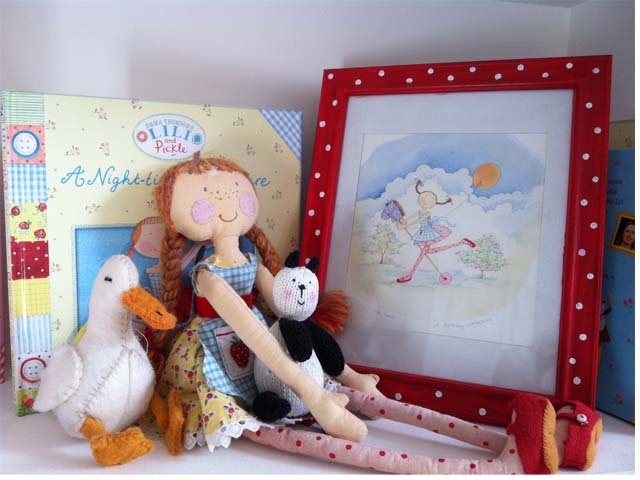 Readers can make Lili Rag Doll using the pattern in the back of ‘Lili’s Wish’ or knit Pickle Panda from the pattern in the back of ‘A night time adventure’. In addition to their award-winning books, Lili & Pickle have featured on 24 cards published by www.woodmansterne.com, cross-stitch kits by www.dmccreative.co.uk and appeared in Blossom & Cbeebies Magazines. News and Updates Follow @LiliandPickle.